Posted on 07/05/2018 by Mickey McCarter	in Live Review and tagged Durham, electropop, indie pop, North Carolina, Sylvan Esso, The Anthem. 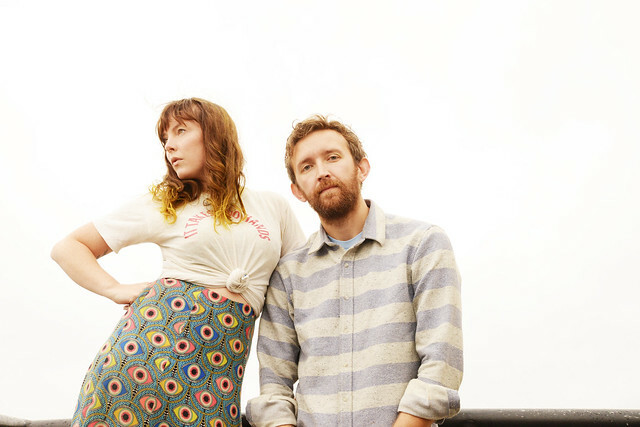 Sylvan Esso, the electropop duo of Amelia Meath and Nick Sanborn, released What Now, their second studio album in 2017, and this year the band released a new single — “PARAD(w/m)E.” Sylvan Esso soon start a summer tour, and they will perform at The Anthem on Thursday, July 26. In a review for Pitchfork, Stacey Anderson praised the duo’s last album. “Sanborn’s production is so boisterous, he hardly relaxes inside his beats. They bounce along with eccentric found sounds and Moog tics, occasionally evoking the sense of an errant tab opened somewhere on a browser. At moments, it seems like a defense of their oft-maligned genre, a fun rebuke of the stereotype that pop music is shallow. Their acerbic pop is both a product of the FM-friendly formula and a wry subversion of it,” she said. Get into the fast lane with The Anthem’s Sylvan Esso dance party! Buy your tickets online.